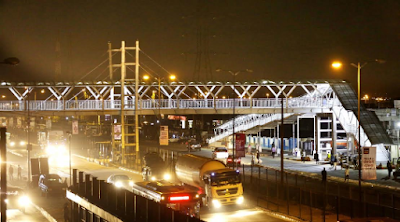 The Ojota pedestrian bridge, (pictured above) was built by the Lagos State Government in April 2016. 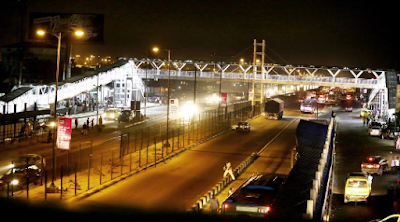 Recently, the state government announced that an additional foot bridge would be constructed to complement the existing one in order to contain the upsurge in usage by pedestrians. 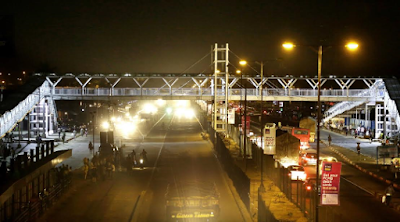 Below are more shots of this beautiful scenery at Ojota Bus Stop...where night life has reached its crescendo! !